You are almost guaranteed to see some of the resident wildlife with four legs here at Tomhegan. They are hard to miss. With just a little more effort though, you will likely be treated to a glimpse of many of the flying, swimming, feathered wildlife as well. 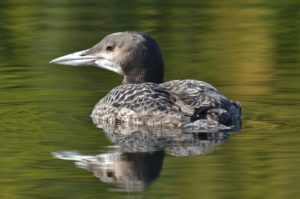 Moosehead Lake is an ideal place to begin to enjoy bird watching, and a great pastime for families to enjoy together. 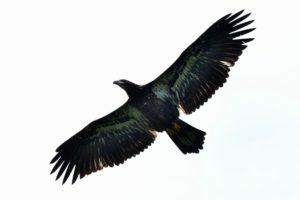 We often have guests who are above average birders and even professional photographers who have captured some fantastic images of some of the beautiful species of birds that make their home near Tomhegan. The region has a wide variety of wildlife habitats with lakes, streams, bogs and forests and they are home to hundreds of species of birds. 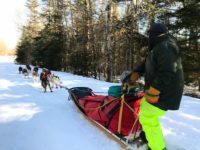 There are trails here at Tomhegan, but the road into camp and the logging roads off of it provide lots of possibilities for bird watching, too. If you head out on the logging roads on your birding adventure there are a couple of important things to remember. Cell phone and GPS signals are sporadic at best so be sure you have good maps and a full tank of gas. From late May until late June the black flies can be nasty enough to ruin your birding adventures. They are however, a tasty treat for songbirds in the area, and they can be managed if you cover up and use a good insect repellant. 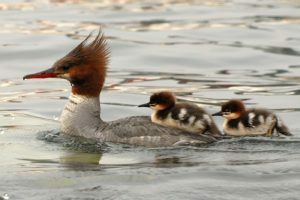 Venture out in a canoe or kayak and you may be treated to any number of waterfowl while paddling along the shoreline. 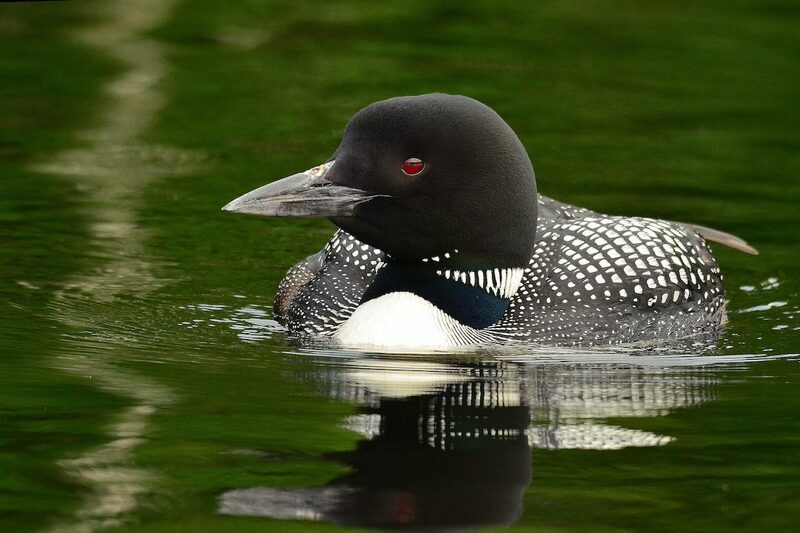 Long after you put your binoculars away for the day, you will still enjoy the song of the Common Loon as you drift off to sleep in your cabin. If you are trying your hand at bird watching for the first time we recommend you visit www.mainebirdingtrail.com for ideas of where to go and a checklist of birds you might see. A good set of binoculars is a must and there are many apps for smart phones that have pictures, habitat information and song recordings. 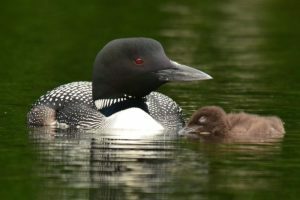 Another great resource is www.maineaudubon.org/birding. With patience and a little luck you will be significantly rewarded. Our friend and guest Tom Mitchell took the images on this page. Plan your next visit to Tomhegan today! Look us up on Facebook and Instagram for special offers on lodging before the summer rush! The Famous Tomhegan Deer Have Returned!